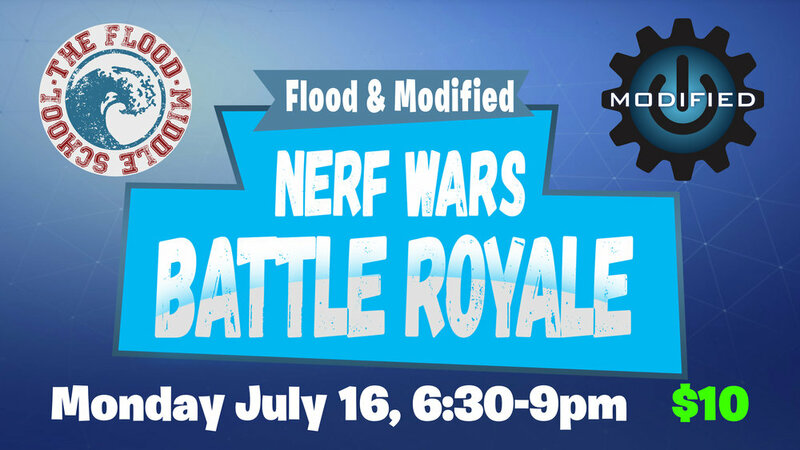 Flood and Modified students are invited to join us for a fun night of Nerf on Monday, July 16 from 6:30-9:00pm. $10 at the door will get you pizza, soda, Nerf chaos and a chance to win prizes. Students are encouraged to bring their Nerf arsenal and their friends! Questions? Check in with Walter or Josh.